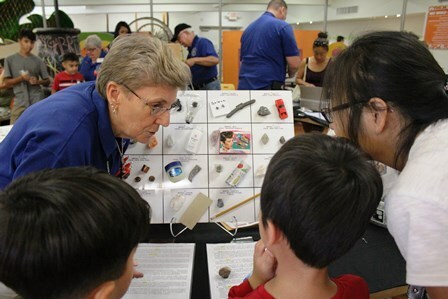 The Tucson Gem and Mineral Society is always willing to go out into the community and talk about "rocks!" We had two opportunities this summer to do just that ... here are some pictures when we were at the Tucson Children's Museum this summer. Everyone got to look through the microscope, view fluorescent minerals, see how minerals relate to their everyday lives and even take mineral specimens home with them. We had a GREAT time!